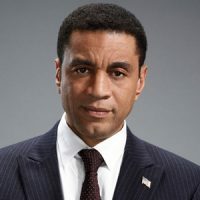 Harry Lennix is a distinguished film, television and stage actor who currently stars as Harold Cooper, Assistant Director of Counterterrorism for the FBI on NBC’s The Blacklist. Moviegoers know Lennix as General Swanwick, from the Warner Brothers blockbuster Man of Steel and the hit sequel, Batman vs Superman: Dawn of Justice. In Feb. 2018, Harry made his off-Broadway NY directorial debut with A Small Oak Tree Runs Red at The Billie Holliday Theatre. The original production, first staged at Chicago’s Congo Square Theatre as part of their August Wilson New Play Initiative, was also directed by Lennix. Called “an important new drama (that) looks racial violence right in the eye” by The Chicago Tribune, the play tells the story of three African Americans in purgatory unable to move to the afterlife because they refuse to remember what has brought them there in the first place. Lennix’s stage work earned him the first Ollie Award for his portrayal of Malcolm X at the Goodman Theater in Chicago and two Joseph Jefferson Citations for roles in Ma Rainey’s Black Bottom and Caught in the Act. In 2001, he was part of the first American company to be invited to the Royal Shakespeare Company in the production of Cymbeline. Lennix has also been extremely active in his native Chicago community where he was an English and music teacher before becoming an actor. In July 2014, Lennix created Exponent Media Group, a movie production company he founded with longtime Chicago associate Steve Harris. 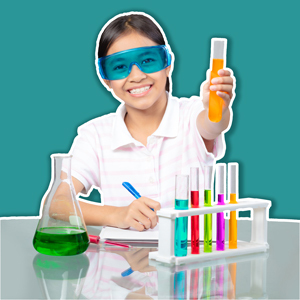 Projects completed include Mr. Sophistication about a brilliant but self-destructive stand-up comedian and H4, a fresh interpretation of Shakespeare’s Henry IV with an all black cast filmed onstage and in the streets of South Central L.A. The third film, Revival!, a re-telling of the gospel according to John the Apostle, is a joyful blend of Gospel fantasia, Broadway musical and epic historical drama starring Mali Music, Chaka Khan and Michelle Williams, among others. The film had its first public screening Dec. 2017 at The DuSable Museum of African American History in Chicago to overwhelming community support. Special screenings were held in Los Angeles, Cleveland and Keane, Nebraska in advance of a limited 10 market release in theaters the first two weeks of December, 2018. Additional film credits include Timeless (2017), Needlestick (2017), Traveling Without Moving (2017) and Saint Mary’s Secret (2017), Spike Lee’s Chi-raq (2015), 72 Hours (2015), Romeo and Juliet in Harlem (2015), Back to School Mom (2015), Stand Down Soldier (2014), The Algerian (2014), State of Play (2009), Across the Universe (2007), the Oscar®-winning Ray, (2004), Barbershop 2 (2004), The Matrix: Reloaded (2003), The Matrix: Revolutions (2003), Love and Basketball (2000), and The Five Heartbeats (1991). Lennix received widespread critical acclaim and a Golden Satellite Award as Aaron in Julie Taymor’s Titus (1999) with Anthony Hopkins and Jessica Lange. In 2006, Lennix starred in the Golden Globe® nominated ABC series Commander in Chief as Jim Gardner, the Chief of Staff to POTUS. He also starred as political activist Adam Clayton Powell, Jr. in Showtime’s Keep The Faith Baby (2002) for which he won a Black Reel Award, a Golden Satellite Award, and a NAACP Image Award® nomination. Select television credits include recurring roles on Showtime’s Billions, Fox’s Dollhouse and House, HBO’s Little Britain, NBC’s ER, CW’s Emily Owens, M.D., and the critically acclaimed 24 as Walid Al-Rezani. In 2017, Lennix was asked to donate his personal archives to Boston University’s Howard Gottlieb Archival Research Center. The Center, which also houses Dr. King’s papers, understood that Harry’s moral awareness, learned through his early training for the priesthood, makes him perfectly suited to show that intersection between the community and faith based entertainment. This is a topic he lectures on as a visiting professor as well. During the 2016 and 2008 presidential seasons Harry served as a political surrogate for Secretary Hillary Clinton, campaigning for her in Pennsylvania, North Carolina, and Michigan. He is also featured in fellow Chicagoan David Schwimmer’s #ThatsHarassment film series launched this year as a PSA campaign to empower victims and bystanders to speak out against sexual harassment. A special built around these PSA’s aired on STARS this year. Lennix is active in various civic groups, and serves as Spokesman for NOBLE, the National Organization of Black Law Enforcement Executives as well as being an ambassador to the National Association of Drug Court Professionals. He is also on the Advisory Council for Northwestern University, his alma mater, and is a board member of Reading Rescue, a training program for educators teaching reading skills to at risk elementary school children. Harry is married to Djena Graves Lennix, a businesswoman. They reside in Los Angeles and New York.